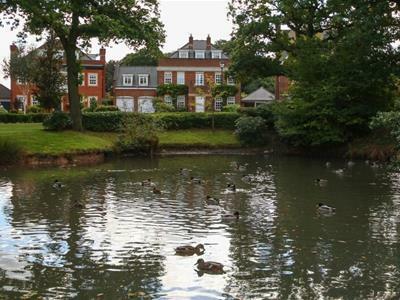 0NE OF ONLY FIVE HOMES IN THIS PRESTIGIOUS SETTING - OVERLOOKING THE DUCK POND - MOCK GEORGIAN RESIDENCE - SUPER OPEN PLAN DINING KITCHEN/FAMILY ROOM - TASTEFULLY PRESENTED - GENEROUS SIZED ACCOMMODATION - LANDSCAPED GARDENS - SOUTHERLY REAR ASPECT. 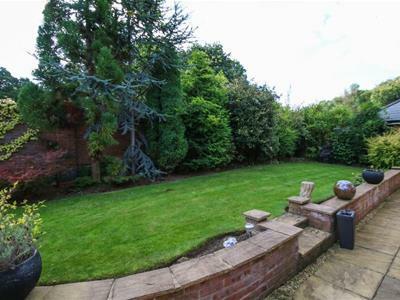 Widely recognised as the best location on Grappenhall Heys, this impressive house offers accommodation including a welcoming hallway with Bamboo wooden flooring, cloakroom, Wc, lounge, sitting room, open plan dining kitchen / family room, utility, five bedrooms, three bath/shower rooms. 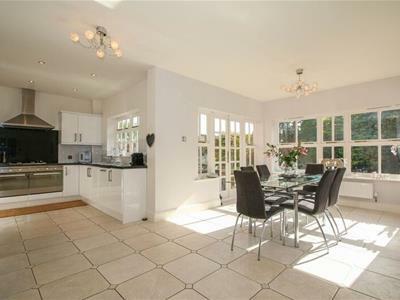 Beautifully maintained gardens, large driveway and a double garage. 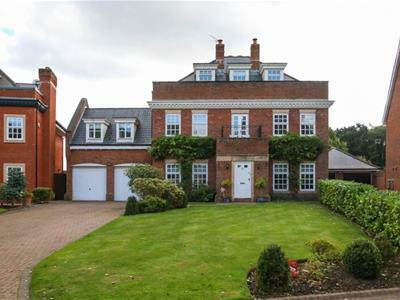 A stunning mock Georgian style detached house and one of only five properties in this prestigious setting, with views overlooking the duck pond to the front and fields to the rear. 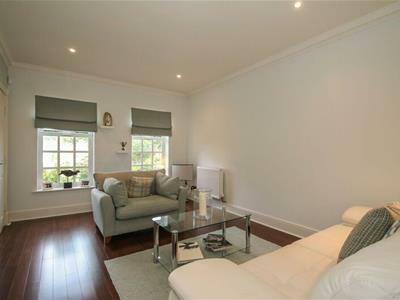 This beautifully-presented property offers spacious accommodation offered 'For Sale' over three storeys. To the ground floor there is an entrance porch leading into a welcoming hallway with polished bamboo flooring which in turn leads into a useful cloakroom with a two piece suite for convenience purposes, lovely lounge with double doors into the sitting room, open plan stylishly fitted dining kitchen finished with a range of stylish matching eye and base level units with integrated appliances and family room with French doors opening onto the rear. There is a utility room with a range of units. To the first floor the landing area in turn enjoys a balcony, superb master bedroom complete with its own dressing room which is fitted with a range of matching wardrobes and luxurious en-suite bathroom fitted with a modern white four piece suite with chrome fittings, two further good sized bedrooms, both of which benefit from fitted wardrobes and a family bathroom complete with again a beautiful four piece modern white suite. 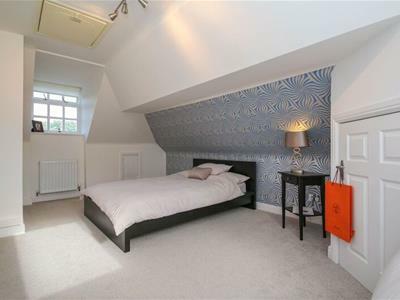 To the second floor There are a further two good sized bedrooms which are serviced by a shower room which is fitted with a modern white suite. 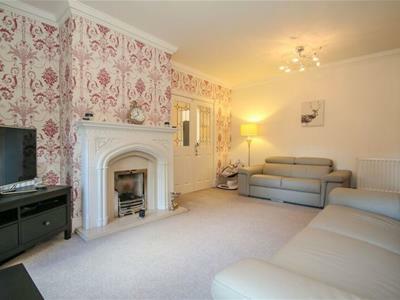 This superbly appointed accommodation is warmed by central heating which is complimented with double glazing. An internal inspection is highly recommended at the earliest opportunity. From our Stockton Heath office proceed along London Road in a southerly direction to the traffic lights turning left onto Lyons Lane. Upon meeting the first roundabout continue straight across to the second roundabout. Turn left into Astor Drive and proceed along. 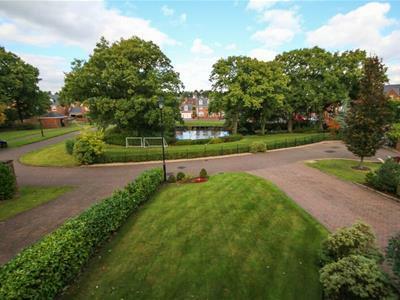 Take the next turning on the right and upon entering Wolfe Close the property can be found on the left hand side clearly marked by our 'For Sale' board. 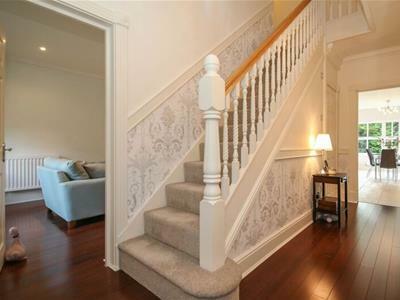 Polished bamboo flooring, staircase to the first floor, polished wooden balustrade, ceiling cornicing, dado rail, telephone point and a central heating radiator. 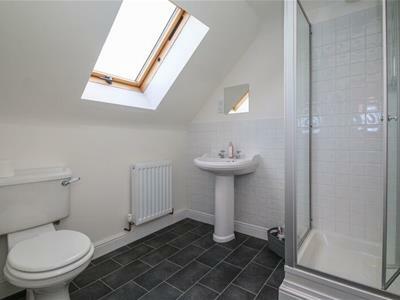 Low level Wc, wash hand basin with tiled splash back, chrome central heating radiator, water resistant tiled effect flooring and an extractor fan. 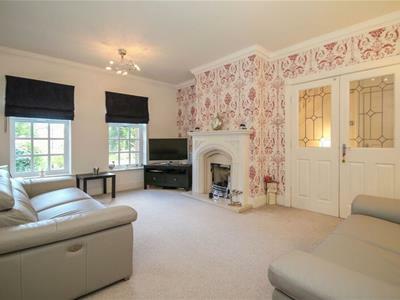 Accessed from the hallway through leaded glazed part panelled double doors, living flame coal effect gas fire with marble inset, hearth and ornate surround, twin double glazed window to the front elevation, ceiling cornicing, television point, telephone point and a central heating radiator. 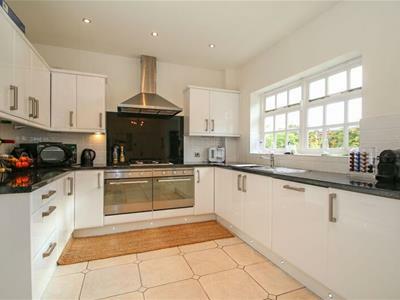 Bamboo flooring, ceiling cornicing, twin double glazed window to the front elevation and a central heating radiator. Refitted kitchen comprising of a range of matching eye and base level units finished in white high gloss with concealed lighting, integrated appliances including a four ring gas hob with illuminated aluminium chimney extractor and splash back above and twin oven below, dishwasher, one and a half bowl stainless steel single sink drainer unit with a mixer tap set in granite style heat resistant roll edge work surfaces with tiled splash back, inset lighting, double glazed window to the rear elevation, tiled flooring and a central heating radiator. Base level cupboard, stainless steel circular drainer unit with a mixer tap set in heat resistant roll edge work surfaces with tiled splash back, space for a washing machine and dryer, back door opening onto the garden with twin double glazed panels, tiled flooring, wall mounted boiler and a central heating radiator. 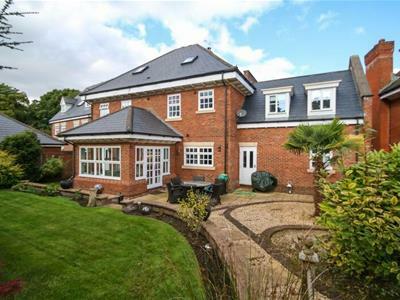 Double glazed windows to the front and rear elevations, inset lighting, access to the loft, two central heating radiators, television point and telephone point. 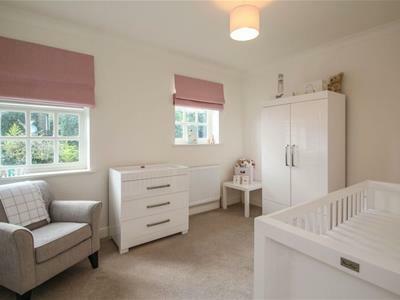 A range of fitted wardrobes providing hanging and shelving space, two double glazed windows to the front elevation, ceiling coving and a central heating radiator. Four piece white suite including a panelled bath with mixer tap and shower head, tiled shower cubicle with a Thermostatic shower and twin shower heads, pedestal wash hand basin, low level Wc with push button flush, heated chrome towel rail, inset lighting, tiled walls with contrasting tiled flooring, frosted double glazed window to the rear elevation, extractor fan, shavers point. 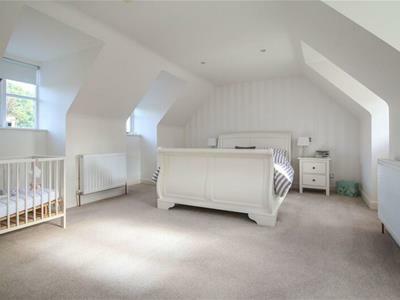 A range of fitted wardrobes providing hanging and shelving space, two double glazed windows to the front elevation, ceiling coving, central heating radiator and a television point. Double wardrobe providing hanging and shelving space, two double glazed windows to the rear elevation, ceiling coving, central heating radiator and a television point. Four piece suite including a panelled bath with chrome mixer shower head, pedestal wash hand basin, tiled shower cubicle with a Thermostatic shower, low level Wc, part tiled walls, water resistant tiled effect flooring, chrome heated towel rail, inset lighting, frosted double glazed window to the rear elevation, shavers point and an extractor fan. Double glazed window to the front elevation and a central heating radiator. Double glazed window to the front elevation, double glazed window to the rear elevation, spotlights, access to the loft, television point, central heating radiator and a storage cupboard. Double glazed window to the front elevation, spotlights, television point and a central heating radiator. 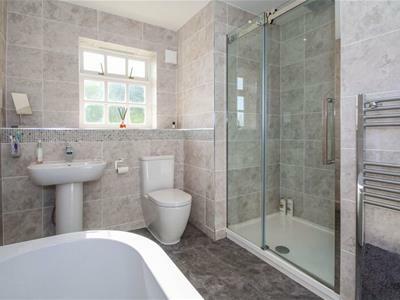 Tiled shower cubicle with Thermostatic shower, pedestal wash hand basin, low level Wc, tiled effect water resistant flooring, inset lighting, double glazed Velux window to the rear elevation, central heating radiator, extractor fan and a shavers point. Double glazed window to the rear elevation, courtesy door to the garden with twin double glazed panels, twin up and over doors and power and light. 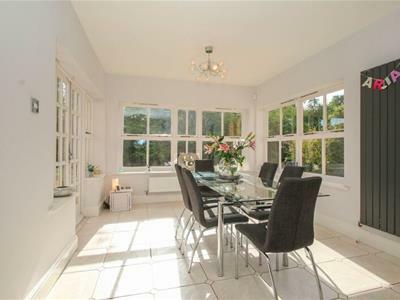 To the front the property is approached by a block paved driveway providing off the road parking for several vehicles and coupled with an adjacent open plan garden which is laid to lawn with colourful borders and evergreens. There is a block paved pathway leading to the front door upon where there is courtesy lighting. To the rear elevation there is a delightful landscaped garden with several areas, including a lawned area with steps up to with a dwarf brick wall and a range of mature trees and plants providing a degree of privacy with a generous flagged patio area ideal for the hard standing of garden furniture adjacent to a gravelled area with a block paved border with bushes and rockery. 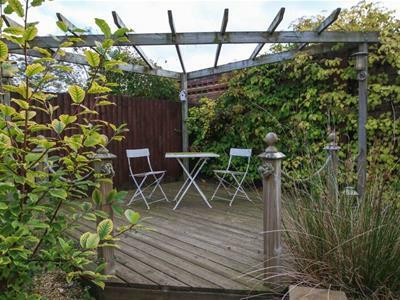 To complete the design there is a raised decking area with Pergola and power and roped border with water tap and lighting. No tests have been made of main services, heating systems or associated appliances, neither has confirmation been obtained from the statutory bodies of the presence of these services. We cannot therefore confirm that they are in working order and any prospective purchaser is advised to obtain verification from their solicitor or surveyor. We cannot therefore confirm that they are in working order and any prospective purchaser is advised to obtain verification from their solicitor or surveyor.